HRXL-MaxSonar-WR Ultrasonic Sensor Line | MaxBotix Inc. 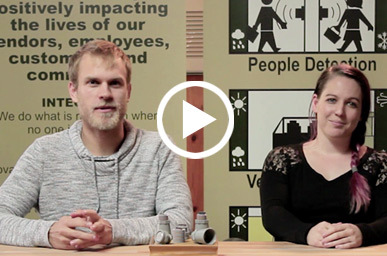 In our exclusive video series to our various ultrasonic lines here at MaxBotix, we talk about the HRXL-MaxSonar-WR Ultrasonic Sensor Line. 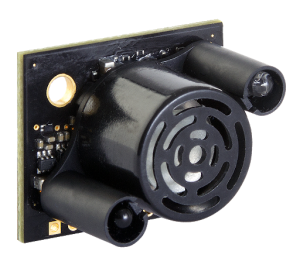 The weather-resistant HRXL-MaxSonar-WR is a rugged, ultrasonic sensor component module. This outdoor sensor provides very short- to long- distance detection, 1mm resolution, low power requirements, high accuracy readings, 3 simultaneously available output options, analog voltage, meets the IP67 water intrusion standard and matches standard electrical 3/4‑inch PVC pipe fittings. To learn more about all the benefits from the HRXL-MaxSonar-WR Ultrasonic Sensor Line, click the button below. The weather resistant HRXL-MaxSonar-WR is a rugged, ultrasonic sensor component module. This outdoor sensor provides very short- to long- distance detection, 1mm resolution, low power requirements, high accuracy readings, 3 simultaneously available output options, analog voltage, meets the IP67 water intrusion standard and matches standard electrical 3/4‑inch PVC pipe fittings.